So you want to go wheel to wheel racing! SCCA is the best way to do it and Cal Club is one of SCCA’s best regions. We offer a variety of tracks and car classes. 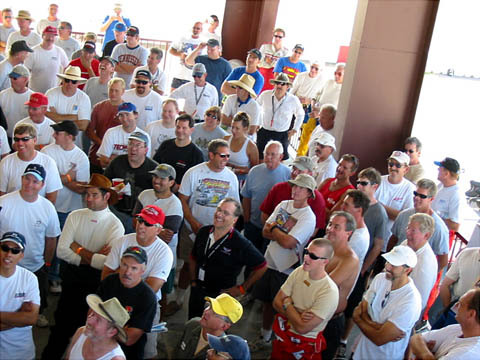 Our competition license schools are held at Buttonwillow Raceway Park. If you have racing experience you may be able to get a waiver for the school requirements. The License Waiver Checklist will lead you through that process. If you do not qualify for a waiver here is what you will need to do: Read our School Information. Renting a race car for school events is highly recommended even if you have your own car. The school schedule gives you just enough time between the classroom sessions and the track sessions to gas up the car, get belted in, and go. If any other servicing or work needs to be done to the car, you risk not getting enough track time to earn your Novice Permit. Even if everything goes as planned, it adds a lot of stress to what should be an enjoyable and memorable event. An alternative to renting is to hire someone to perform all maintenance and repairs to your car while you are in the classroom. This is known as Track-side Support. If you want to rent a race car for the school or competition events, or hire someone for Track Side Support, several resources are listed on the Resources page that service the Cal Club Region.